Posted 2:16 am by admin & filed under Development. Recently we’ve added commenting to our Driverstest.info license test question and quiz website. We used a third party comment platform provider called Disqus.com. Our goal was to add commenting but not increase the load time for our users. Fortunately, thanks to Paul Underwood’s article about adding Disqus with AJAX, we’ve added this great feature without increasing load time. 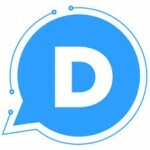 Some great features about Disqus are that users can comment without having to build our own commenting system. The system is flexible to work on mobile, tablets, or fullscreen without additional markup. Users can use with facebook, google+, twitter. Finally, it offers an easy way to moderate. We’ll test it out over the coming weeks, but we think its probably a go. Glad the tutorial was useful for you.